Photographer specializing in interior and exterior images for the Residential and Commercial building industry. National award-winning, full-service photographer with 30+ years in the industry. Providing high quality, digital photography and HD video for commercial/residential interiors and exteriors as well as product photography for online and print. Creator of inspiring photography interior designers, architects, builders and home furnishing brands. 15 years experience in providing stand-out photography for design competitions, portfolios, and editorial. Let's Create! True Homes Photography is one of DFW's fastest growing real estate photographers offering professional services at realistic rates. Using top of the line photographic technology, True Homes provides realtors and builders with some of the highest quality photography and video around! Dallas, TX based architectural and commercial photographer. I specialize in photography for builders, interior designers, remodel contractors and anyone else involved in the luxury home industry. I am also heavily experienced in hospitality, healthcare and commercial property/interiors photography. Realtor and Photographer with a love of interiors, antiques, design, art and anything to do with homes! I love to shoot interiors whether it be a home or a store. I also love to take photos of food and people as well. Travel is one of my favorite past times and I to travel and shoot hotels, tourist spots and interiors wherever that might be! 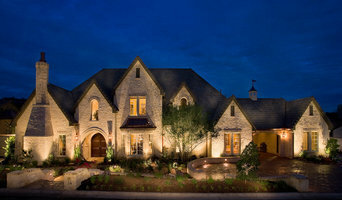 I am also a Realtor in the DFW area, specializing in Sellers, Buyers and Referrals! Give me a call, I'd love to help you find the perfect place to call home in Dallas or just about anywhere! Professional Interior/Exterior Architectural photographer with 20+ years experience. Also provide headshots and environmental portraits. Showcasing clean lines of architecture & the beautiful colors & textures of thoughtful design. It has been an honor to work with luxury interior designers, custom home builders and top producing real estate agents through photography of interiors. TammiTPhotography images are in publications such as Luxe. Interiors + Design, Art & Home and LIV Sotheby's International. We are a full-service professional Real Estate photography company serving Realtor's®, Homeowners, Home Builder, Designers, Stagers, and more. Real Estate Photography That Sells!! Epic Foto Group is a premier provider of high quality Real Estate Photography. Serving the Fort Worth / Dallas Metropolex, we understand what it takes to make your listing stand out from the crowd. Photography for business, residential and landscpe. 2-time McSam Award-winning imagery. With a background in design, advertising and photography, Impressia creates natural looking images that capture how a space feels. Are your current images the same caliber as the work you put into designing your projects? If not, we need to talk. With professional experience in multiple business environments, our problem-solving skills can help you reach your customers more successfully. Impressia delivers a "Distinction Beyond the Standard." Before you call any potential photographers, make sure they have good references. Friends who've sold or rented homes before are great resources, as are local real estate agents. Look through each Texas photographer's online portfolio to make sure what you're looking for is being offered. Once you've done that, it's a good idea to walk around your home and write down exactly how many and what types of shots you'll need. Include any specifications you might have, such as angles, things to consider about your home’s Dallas, TX site, the time of day you think will be best and aspects of your home you want to highlight. Find a home photographer on Houzz. Narrow your search in the Professionals section of the website to Dallas, TX photographers. You can also look through Dallas, TX photos by style to find a room you like, then contact the professional who photographed it.